Today could be a major turning point for the UK biotech sector, as changes in government policy could help channel billions of new investment into drug discovery and development. Biotech and life sciences is one of the UK’s most promising hi-tech sectors, but is currently held back compared to US counterparts because of a lack of mid-to-late-stage funding. This is seen as one of the main reasons why the country has failed to produce a world-conquering biotech firm to match American success stories such as Amgen or Genentech. This could be about to change, as the Chancellor of the Exchequer Philip Hammond will include in today’s Budget measures to encourage funding for innovative and high-growth sectors. Hammond is also under pressure from Brexit: leaving the EU could see UK science lose out in millions from European research grants, and innovative industries want guarantees that funding will continue or be matched by new UK funds. The chancellor has listened to these concerns, and is expected to act today. The solution is likely to come from the Patient Capital Review, a Treasury report aimed at generating greater long-term funding for innovative businesses. This could be a game-changer for investment-hungry sectors such as biotech. 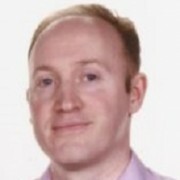 Dr Martin Turner is Policy and Projects Manager at the UK Biotech Industry Association (BIA), and leading on the organisation’s drive to stimulate funding for the sector. He says a proposed new National Investment Fund could transform the funding streams into UK biotech. This supercharging could come from one source in particular – UK pension funds, which hold not billions but trillions of assets. However because of a conservative approach to investing, called the ‘prudent person rule’, they currently steer clear of biotech funding. Given direction from the government, this could all change. This could provide a massive injection into the UK biotech sector, which currently struggles to raise funds once it has reached the early proof-of-concept stage. At the moment, most UK biotech firms have little option but to out-license their lead candidate, or get acquired by a big pharma company. This has been the fate of several promising British firms over the years, but could be prevented if more ready capital were available. The US, unsurprisingly, has shown a way forward: Ronald Reagan encouraged pension funds to take a less conservative approach in the early 1980s, and this freed up billions of dollars to bankroll innovation in Silicon Valley, making it the world-leading technology hub that it is today. Biotech isn’t the only hi-tech area which could blossom in the UK with more funding: Artificial Intelligence (AI), a technology which could have an enormous impact on work and society in the coming decades, is expected to be named as a key sector in the Budget today. 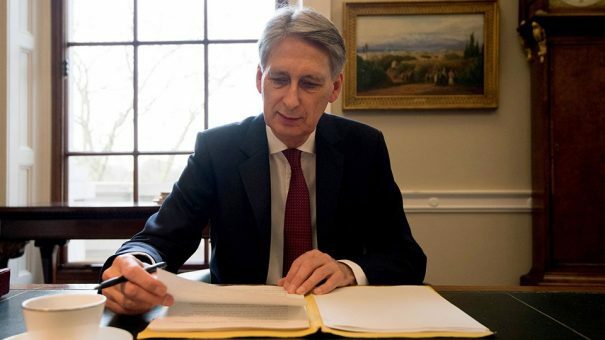 We will have to wait to see what Philip Hammond announced this afternoon – much naturally depends on what other good – and politically important – causes he will prioritise. He is expected to say that the UK must “seize the opportunities” from Brexit while tackling “deep-seated economic challenges” head on. Pharma and biotech are near the front of the queue among industries promised a ‘sector deal’ to help them thrive after Brexit, and are calling for more government spending on R&D and the NHS. However Brexit is weighing on the country’s economic growth prospects, and Hammond is also hemmed in by commitments to reduce the government budget deficit. Against this background, measures to support families struggling with the cost of living and a major expansion in housebuilding could take up most of the spending. On top of this, Hammond is expected to offer the European Union £40 billion in an improved Brexit ‘divorce bill’ – although the EU27 is likely to demand more. A new National Investment Fund could channel new investment into patient capital. This may take the form of a public-private partnership, or a new fund on the government’s own balance sheet via the existing British Business Bank. The size and structure of a new fund will depend on whether a domestic replacement to the European Investment Fund (EIF) is needed, which is worth up to £1 billion to UK SMEs. Investors say that, even if a post-Brexit deal is struck to maintain EIF cash, there is still a good case for a new fund. However if the size or the structure of the fund doesn’t match expectations, it could be seen as a missed opportunity. There are other factors behind why UK biotech, and indeed European biotech, hasn’t matched US success – notably the lack of world-class scientist-entrepreneurs and biotech management who know how to take a spin-out company into the big league. Nevertheless, measures announced today could represent a major turning point for UK biotech, as hugely increased funding streams could catalyse rapid development in the sector.